This music festival was not your ordinary music festival. It was a cultural milestone for Baby Boomers, the 1960s generation. 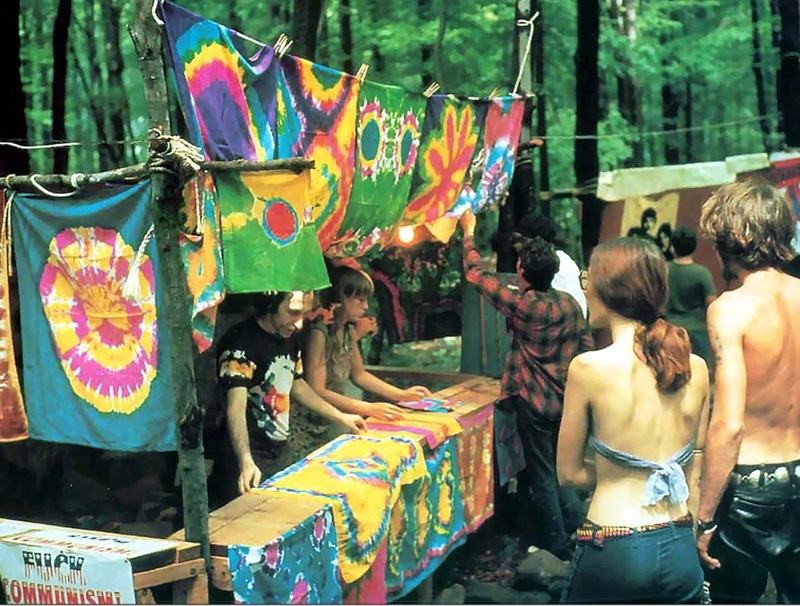 The Woodstock Music & Art Fair or informally called the Woodstock Festival or plainly Woodstock was a music festival that attracted an audience of over 400,000 people held on a dairy farm in New York State from August 15 to 17, 1969 but was extended to four days up until August 18, 1969, due to the rainy last day. The theme was “An Aquarian Exposition: 3 Days of Peace & Music”. During the sometimes rainy weekend, 32 acts performed outdoors before an audience of 400,000 people. It is widely considered as a crucial moment in popular music history, as well as the definitive connection for the larger counterculture generation. Rolling Stone listed this as one of the 50 Moments That Changed the History of Rock and Roll. 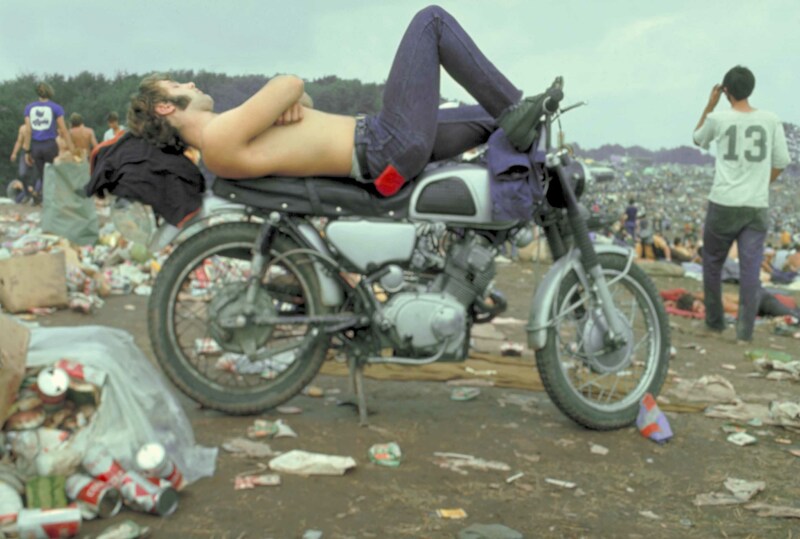 Here are the 12 Crazy Woodstock Festival Photos. The Woodstock festival was held at Max Yasgur’s 600-acre dairy farm in the Catskills near the hamlet of White Lake in the town of Bethel. Bethel, in Sullivan County, is 43 miles southwest of the town of Woodstock, New York. It didn’t actually take place in Woodstock as everyone thought. A deal was struck for $75,000 with the dairy farmer. The Woodstock festival was a free concert and there was no official Woodstock merchandise sold at the festival. Initially, the organizers thought that they had to build ticket booths for promotion but because of the crowd, that idea became just a formality in the event. The big star performers and nearly half a million people made the event a legendary festival. It was said that organizers had problems with the venue after the permits were revoked a month before the festival was supposed to take place. The original venue was supposed to be at Woodstock, New York hence the name. Unfortunately, the residents of Woodstock didn’t want the festival to be held in their town so the organizers had to find another place. It was only Max Yasgur who agreed to have the event held on his farmland in Bethel, New York. 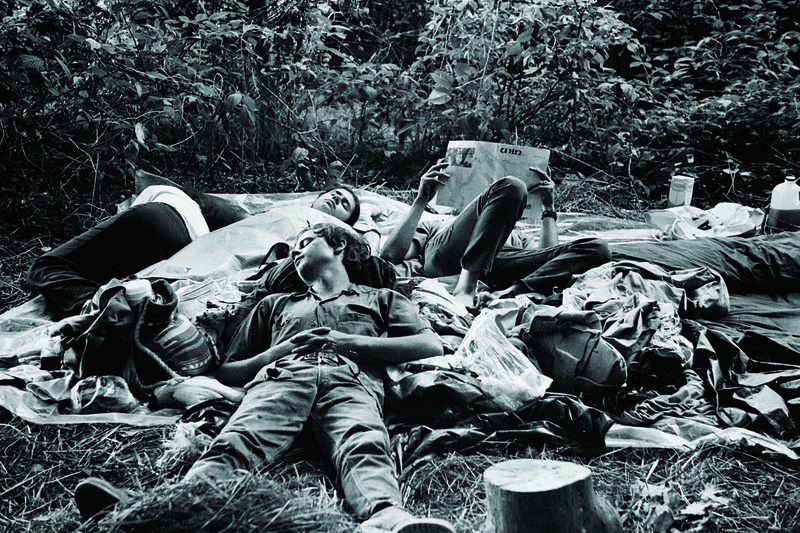 The Woodstock generation sported a fashion that made their generation more unique. The fashion was heavily influenced by the hippie trends back during those times. So there were a ton of tie-dyed clothing, bohemian dresses, flower wreath headpiece and peace pendants. There were also ten million yards of blue jeans and striped T-shirt material at the festival. Hippies and grass often go hand in hand. Right? In the festival 9 out of 10 attendees smoked grass. It wasn’t legalized in New York during the time of the festival but a majority of the hippies were smoking it. Also during those three days, they could smoke all they wanted as much as they wanted. Even the artists were smoking joints before going on stage.The police didn’t arrest them all as it was impossible to fit all those people in the county prison. But despite that, the festival was relatively peaceful.